An overview of the European value-added tax. In recent years, and ridiculed the harsh investment environment in Japan is now referred to as “six whammy”. The aim of profits in the global market, various companies to do business with overseas companies or dislike the harsh investment environment like this, that number is increasing every year. Japanese companies overseas, or if you do business with foreign companies, would be to start a business, such as logistics and after checking the marketing side, the various aspects. Will consider that it is sufficient for such regulation on the legal and tax on each country as well. This point, it is consumption tax of the European value-added tax in Europe, however: for (Value Added Tax VAT for short) is, despite the fact that actively provide information to tax authorities of European countries, are not considered sufficiently Many feel like you are a company which is to start a business. One of the reasons for this as, in the country for far less, even the corporate tax department, the European value-added tax experts familiar with the value-added tax such as that experienced practitioners also, to study in Europe that there is no proper knowledge about the compliance and tax planning for and so on. In addition, the ” VAT refund (discussed below) in the company knows well, you feel like do not think much about the case should not have to declare VAT in the local system. ” European value-added tax, local tax requirements are met, you are obliged to pay the tax for the tax office in each country to collect value-added tax, even local goods and provision of services by foreign companies even if . Even buying and selling transactions between Japanese companies, as well as obligations of local taxation requirements are met for example, also occurs. Maybe some companies believe that or not is not greatly influenced by maybe, and Europe do not have to comply with applicable laws and regulations on the grounds that are separated geographically. 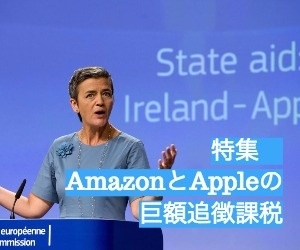 This will be our first thought, corporation tax refund and major service organization, with a point he should be more enlightenment against Japanese companies. In any case, each company that he has a relationship with Europe, you must have the minimum knowledge necessary for value-added tax in Europe. In recent years, the European tax authorities has come to crack down on activities with respect to taxation in Europe by companies outside the EU. As this background, the European value-added tax because the tax ① emphasize the “format” such as the invoice that is often easily identify non-compliance and non payment of taxes, the percentage of national tax revenue Chokkan ② ( In addition to the reasons such as, that ratio) has been shifted to the “indirect tax” from the “direct tax” worldwide, foreign companies from the effects of (VAT package) arrangement of VAT new has been in effect since January 2010 ③ It was to be paid attention to taxable activities are cited as the reason. 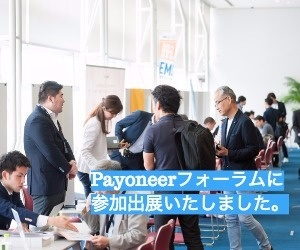 Has become subject to many Japanese companies this trend, suddenly receives indications of tax leakage from the tax authorities in Europe for the trading of its past, has received a request for tax returns. In the Company, has become especially recently many cases be forced to support companies and their solutions will be asked to negotiate with tax authorities of each country. 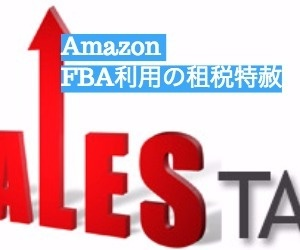 We believe in the “Guide Book value-added tax in Europe this” Then, we describe the case and the mechanism of value-added tax in Europe for Japanese companies tend to be a blind spot usually, and if it is possible to help pre-examination during the European Business of the company You. We hope our contribution to the development of your business by European art by the guide book, a deeper understanding of the value-added tax of everyone in Europe, to contribute even a little compliance at the time of the transaction in Europe. Current country in September 2011, are members of the EU is 27 countries, there is a abbreviation to each Member State. These Member States have adopted the VAT system and common. Different items such as tax rates and scope of the reverse charge, in every member country, but there, you will be part of the outline that the same system. (As detailed in Table Reference 1) currently, the name of the Value Added Tax VAT is not only in Europe (VAT for short), there is abbreviation such as IVA and TVA, every each Member State. And the Member States varies from 15% to 25% tax rate. European value-added tax system, various items have been stipulated with a focus on EU directive, called 2006/112 Council Directive. Name on the provisions of this guidebook will be pointing to the directive in question. In the system of value-added tax deduction system called the European stage has been used before. Offset the same consumption tax in Japan, “the tax collected during the sales” and “tax it took to purchase”, as a result, If you have a large tax collected during the sales, the tax office of member countries in question ( You pay the tax) added value. On the other hand, If you have a large tax (tax paid) it took to purchase, and then refund from the tax office of the Member States in question. This is known as tax credits before the stage of this system. A UK companies were sold at 200 £ for individuals in the UK in the UK mobile phones. A British company has purchase in this 100 £ from Company B in the UK mobile phones. In the UK for tax rate is 20%, 20 £ 40 £ and it took at the time of purchase was collected at the time of sale can be canceled out. For this reason, A British company will be paid against the UK tax authorities, VAT and 20 £. Taxpayer is a business taxation and make the transfer of assets or the service. economic activity is included, including mining, agriculture, professional services, manufacturing, product sales, to provide services refers to the tangible or intangible assets to make use of continually refers to the activity for all, get the revenue. Research corporations and non-profit research institutions, businesses in corporation tax will not fall into this category. Not engaged in the business in terms inherently, as financial institutions and nursing care facilities, also different from tax-exempt corporation to earn income by sales. General is that of the individual. Taxable value-added tax in Europe is the “import”, “Get within EU”, “provision of services”, “transfer of assets”. However, businesses have to do for a fee as a business taxation in the EU that will be included. ”Transfer of assets” and is to transfer the right to dispose of tangible assets. when B after A Japanese company, which supplies machinery and equipment for the German company B, C of Purchase held by another German company, acquired the right to dispose of the said machines, was sold to. In this case, A Japanese company will be the transfer of assets made in Germany, A is required to obtain a VAT number in Germany. In addition, on the invoice between the AB, it is necessary to claim the VAT in Germany. ”Provision of services” and refers to something other than a transfer of assets. And provision of services is to provide the service. This includes the transfer of intangible assets and loans. As an example, repair and installation of machinery and equipment, haircuts, entertainment celebrities, please and image consulting. If the offer of services, it is important to determine taxation of land. ”Getting within EU” and is the acquisition of the right to dispose of tangible personal property, is to move to other member countries from member countries is an asset. It is recognized within the EU to be acquired by a transport case with those who received a delegation from these things, assets will be transported to the acquirer or supplier or the acquirer. It should be noted that the “region” of the acquisition within the EU, it means that the EU27. European added value in the tax law is referred to as third territories and (third) that of the country the Community (region), otherwise that of the EU27. Acquisition and the European Union (EU), refers to the movement of goods between Member States. As an example, this is the If you purchase a machine from B Company of Germany A British company is the other EU countries. (Incidentally, there is a “import” as different concepts acquisition and the EU. Imports. Points to be brought into the EU assets from third countries other than the member countries) get the EU has to set delivery and within the EU You. In the above example that Company A British company to get the goods from Company B of the German company will be delivered to Company A “and delivered within EU” next to “Get within EU”, from Company B. Delivery within the EU as well as export, will be exempt transactions. Acquired within the EU is to calculate the tax declaration of the EU at the rate of acquisition, and then the same amount of tax deduction at the previous step declaration (UK) In this case the destination (A company in the UK in this case) the acquisition . Acquired within the EU [Case C] B German companies to purchase machinery and equipment from Company A in the UK. In this case, from the acquisition of German companies is referred to as the EU get it. A side delivery from UK companies this is referred to as delivery within the EU. Delivery within the EU VAT is not taxation for exempt transactions. On the other hand, in order to be taxed at the acquisition within the EU, the acquisition is not obligated to report to calculate the tax of acquisition occurs within the region. Company to acquire the EU, it is necessary to register for VAT in the local. ”Import” and is physically located within the EU to bring assets from (outside the EU) a third country. There is no need for buying and selling is due to taxation if it were a business person who imports, if it were a corporation subject to tax outside, if it were a final consumer, nor is asked. Care must be taken on the European value-added tax, when imported by Incoterms, its corresponding method is different. Exports to the EU from Japan by the FOB D [case] if a Japanese company that exports to the European region in the FOB, value-added tax at the time of import clearance is concerned, there were Japanese companies will not pay the shipper. For this reason, Japanese companies are obliged to register in Europe there is no value-added tax. Exports to the EU from Japan by the DDP case [E] DDP under the conditions that make the export of Japanese companies for the European region, will be their to pay value-added tax at the time of import. Import tax because it is one of the requirements, a Japanese company in a member state value-added tax paid at the time of import, there is a duty to make VAT registration. In addition, must be value-added taxes on goods supplied to the buyer in member countries. European added value in the tax law, the decision of the land tax is a very important point.And the “land tax” refers to (member countries) country value-added tax will be taxable.There are only two ways in the judgment of the Consumption Tax in Japan, inside and outside judgment, that is, it will take in the consumption tax (Japan) domestic, and whether consumption tax is levied at the (foreign) outside. In this regard, land value-added tax law taxation of Europe, as 27 is the number of member countries, as there is a choice of 28 and also include your location and Japan, which is. Because of this, so it is really more complex than judgment of the land tax and consumption tax in two ways. Taxation of land and make a bad decision, we also intend to consider the compliance efforts for example, it will disable them from the ground up efforts. To and cited as an example, if your business should be taxed the value-added tax of Italy originally, and then tax to their customers value-added tax in Germany in the wrong, and that has been paid to the tax office of the German value-added tax this. It is also possible even in this case though, is not only the Italian tax office and asked for your payment of value-added tax, a variety of fine due to the delay of payment is imposed. That your company has paid the German value-added tax for the tax office are not taken into account. Judgment of the land taxation will be very important in this way.Land taxation are different for each content its efforts, please be careful. Taxation of goods sold land in case the same country [F] 1.
in Germany, A German company has sold the goods to Company B in Germany. in Germany, A Japanese company has sold the goods to Company B in Germany. Direct Sending of land taxation arrangements within the EU from company to company within the EU [3 H] case. is A Japanese company, to buy C stock of the German company, had sold the goods to Company B in Germany. Goods shall be sent directly to B from C.
Case 3 points above ground has become a German tax any. Remarkably, even outside the company EU, is that if you purchased the goods in the EU, sent directly to it, that corresponds to the transfer of assets as Case 3. In the case of the three cases, the taxation of land transactions by Japanese companies in Germany and became Case 2. For this reason, Japanese companies, as such have a duty to register VAT number in Germany, to declare the value-added tax in Germany, to pay the tax. Taxation of land offer of services, in the case of service provision between employer, who is the beneficiary country is running a business will be taxable land. If the service provider to the consumer end, the country is a provider of services will be engaged in the business taxation area. Case of company B A lawyer in the UK and Italian cases [I] A British lawyer has made consulting services to Company B in Italy. → among operators in service provision, land tax and so engages in business beneficiary countries, Italy is a land tax. A case of C’s personal lawyer in the UK and Italian cases [J] A British lawyer has made a personal consulting service for C Italy. → If the service provider to the final consumer, so that land tax is a provider of services country is running a business, land tax is the United Kingdom. Taxation of land acquisition within the EU is the country where you are located assets at the end of the transport. Taxation of imports and destination countries will be located at the time the asset was brought into the EU. As an exception if the assets are placed in the bonded procedures, assets countries is located at the time the procedure has been completed bonded area will be taxable. Services by businesses do not have a land base in the member countries and taxation, the provision of goods and services is subject to the reverse charge system. Originally, a provider of goods and services tax, collected taxes on added value for the beneficiaries, the collection will be paid to the tax office of each member country by the offer. This point, reverse charge system is a system transfer to the beneficiary from providing a tax liability. As the purpose of this system, mentioned above [ I case if, as in the case of, the British lawyer made a consulting service for the Italian company, land tax is now Italy, this British lawyer of Italy you will have to register but value-added tax. If you are a corporate lawyer with customers throughout Europe if you need to make VAT registration in 27 countries will come out. To avoid this, on the value-added tax in Europe, there “to shift the tax obligation” that the reverse-charge system. In order to shift the tax liability, if you have to retrieve the number of value-added tax in certain member countries, need to register in each Member State VAT number is eliminated. For service to apply the reverse charge system, and consulting services, advertising, copyright transfer, dispatch of human resources, such as the transfer of assets by foreign companies is relevant. The scope of the reverse charge system varies greatly depending on member countries, care must be taken. Referred to as “exempt transactions” alias, and that the tax deduction of nontaxable transaction phase is observed before. Exports and tax-free delivery within the EU will fall into this category. Japan’s exports to Company B from Company A Case Study of Portugal [K] A Portuguese company has exported ($ 100 million) machinery and equipment for the B company in Japan. → so exports are nontaxable transaction (exempt transactions), B Company of Japan do not have to pay a value-added tax in Europe.Since export is observed before stage tax credit, A Portuguese company, it is possible to deduct VAT depends on the purchase price of the previous stage of machinery and equipment. “VAT registration number” and is to register the number of value-added tax. This is called “Getting the” VAT Number “get number of value-added tax” in the words of another. Taxable economic activity within Europe If you have made, have an obligation to get the number of value-added tax in Europe also would be a Japanese company. ”VAT” and is, after obtaining a VAT number, is to declare the tax amount of value-added tax to the appropriate tax office of the Member States. Etc. are referred to as “” VAT compliance “declaration” VAT “tax return” in the words of another. As mentioned above, in the system of value-added tax deduction system called the European stage have been used before, to offset the “tax collected during the sales” and “it took to purchase tax.” If you have a large tax collected during the sales, you pay the tax to the appropriate tax office of the Member States. At this time, by value-added tax declaration documents, you will need to declare the tax to be paid. On the other hand, If you have a large tax (tax paid) it took to purchase, and then refund from the tax office of the Member States in question. The same in this case, the value-added tax declaration documents, you must declare the amount of tax refund claim. This is known as value-added tax that these claims. In addition, the duration of the VAT, it also depends on the member countries, also depends on the amount of taxable economic activity. Becomes a declaration of every three months or roughly every month. European value-added tax, (invoice) has the same importance of cash and invoice. The invoice, you will need all the matters referred to should be stated. If the problem persists recognized as invoice formal invoice without the necessary matters, tax authorities is issued, the company has received an invoice of these, that was not recognized in net value-added tax of the previous step it would have been a big problem. Therefore, you will need the matters to be put on the invoice to investigate in advance. Also, if you modify the invoice, unless obliged to pay the VAT revealed that the invoice was issued first becomes null and void, and all appear on the invoice is raised. European added value in the tax law, such as the handling of invoice will have a very large meaning in this way. Matters to be stated in the invoice  as has the following items. That issued the invoice date (a) to identify the invoice number (b) (VAT number) VAT number of the seller (s) of customer value-added tax (d) (in the case of acquisition within EU) number and address of the seller and the buyer’s company name (e) provide a range of services if the service provider’s name to sell assets (f), quantity, amount, or issue date of the transfer of assets or provision of services (g) of the invoice ( ) if it is not the same day , or the date of receipt of the advance payments received tax bracket applicable (h), of the sales tax and sales tax exemption, the tax base, unit price, the amount of discount VAT amount (hair) reverse transactions and tax-free (co) If the charge, its rationale cited provisions of the tax agent if you have (the difference), the name of tax representative, address, VAT number described in Terms of Delivery (other) , and other matters that should be included in invoice There is no need to add further items by member countries. Company A Japanese company, Company B are using the Japanese logistics company in the UK as a base for logistics.Company B of Japanese logistics companies are taxed 20 percent value-added tax in the UK as work and storage charges of goods in a warehouse in the UK. It should be noted that Company A to retrieve the number of value-added tax in the UK, Company B did not get a VAT number. In this case, whether Company A can deduct the UK VAT Company B has been taxed. 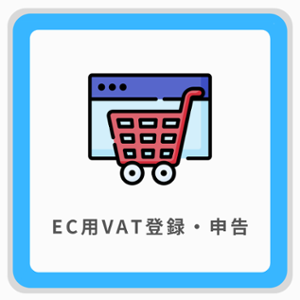 → In the above example, Company B of Japanese logistics companies in spite of not register for VAT in the UK, we have the VAT tax in the UK for Company A Japanese companies. Company A must for Japanese companies on the tax return, to deduct the value-added tax of the previous stage, the format of the invoice is in accordance with the European value-added tax law. In the instant case, is inherently Company B has been registered on the value-added tax in the UK, there was a need to impose a value-added tax in the UK. A British company value-added tax has been imposed by the company B does not even get a VAT number, you will not be able to deduct the VAT before this stage. Refund value-added tax, value-added tax system in Europe, is the most well-known system for Japanese companies. Also known as “VAT refund” “refund VAT”, an alias. VAT and European spending on corporate Japan have not done the activity taxed in the EU, to do its business, upon application by a refund value-added tax, to refund all from the tax office of each member country a value-added tax paid back ( You can get it) may be. This is the VAT refund system for non-residents. Examples of items to be applied, in addition to hotel bill at the time of travel, taxi, car rental fee, such as the generation restaurants, and various other expenses of a representative office expenses and so on. In the refund value-added tax for non-residents, so will be subject to a “corporation outside Europe have not done the activities taxed in Europe” its target, the Japanese companies that have activities subject to taxation in Europe, value-added tax declaration you will need to use a refund on the VAT.